If you need to subtotal numbers by type, you can easily do so using the SUMIF function. You can also look at this article if you need to sum items by date. 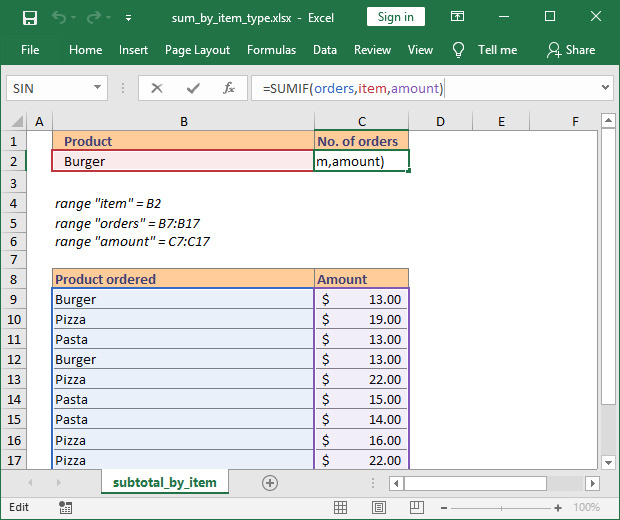 You can download the Excel workbook if you want to take a closer look at the formula.